5052 aluminum alloy plate for AL-Mg alloy aluminum, is the most widely used as a rust-proof aluminum, high strength of this alloy, especially with anti-fatigue strength Fu: plasticity and high corrosion resistance, heat treatment can enhance the half when the plastic is still good work hardening, work hardening at low plasticity, good corrosion resistance, good weldability, machinability bad, can be polished. 5052 aluminum plate exhibits higher corrosion resistance than other aluminum alloys and higher strength than 3003 aluminum plate. In addition, it exhibits good salt water resistance, making it a popular material for marine applications. 5052 aluminum is easy to form, stamp, weld and finish. It has fair machinability with the proper setup. 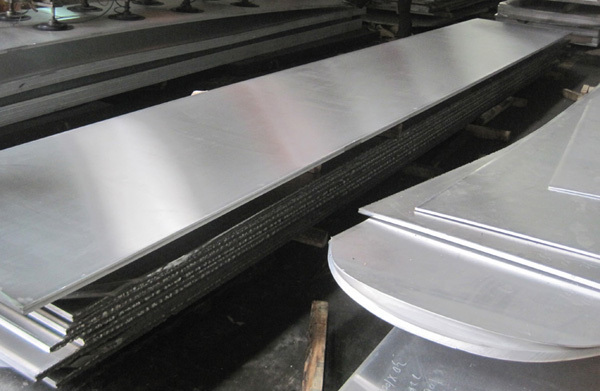 5052 Aluminum Plate is used for products that require high strength in corrosive environments, also commonly used in transport vehicles, vessels, sheet metal parts, instruments, lights bracket and rivets, metal products, electrical appliances, such as Shell. Can also be used in the manufacture of aircraft fuel tanks, fuel lines, aerospace aluminum alloy material, is typical of the anti-rust alloy material.